“From a clinical context, this means that current polygenic scores are significantly better in predicting the risk of common diseases for people of European ancestry than those of African ancestry,” said Alicia Martin, PhD, the lead author of the study and a postdoctoral research fellow in Mark Daly’s lab at the Analytic & Translational Genetics Unit in MGH as well as the Stanley Center for Psychiatric Research at the Broad Institute. 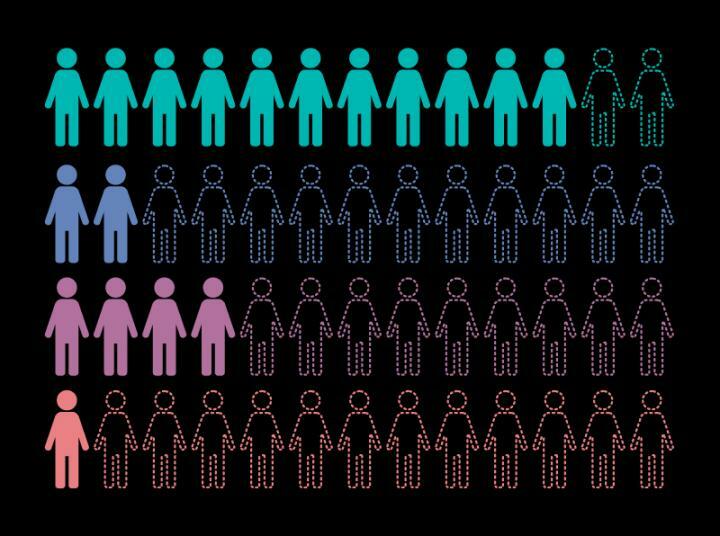 Early diversifying efforts show promise in leveling this vast imbalance, even when non-European sample sizes are considerably smaller than the largest studies to date. To realize the full and equitable potential of PRSs, greater diversity must be prioritized in genetic studies, and summary statistics must be publically disseminated to ensure that health disparities are not increased for those individuals already most underserved.